Carolina Beyond the Tape™: Crash in the Night Biology Kit is rated 4.0 out of 5 by 1. Grade 9-College. Students assume the role of forensic scientists to solve a fictional crime by integrating core concepts in biology. Students have the opportunity to conduct blood typing and genetic testing, along with a presumptive blood test. 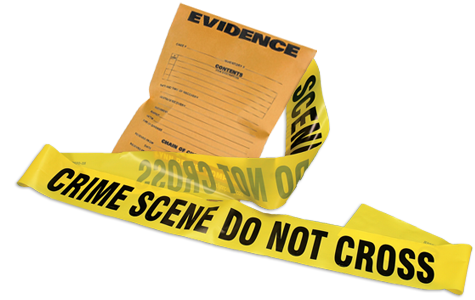 Using deductive reasoning and scientific methodology students process evidence from the crime scene and integrate concepts such as data analysis and scientific writing to help build a compelling case. For 32 students working in groups of 4. A local power company's sign lies damaged and the police need your help puzzling together the pieces and identifying the potential culprit. Biology students jump into the role of forensic scientists as they work to solve this fictional crime involving a car crash. Using deductive reasoning and scientific methodology, students process evidence from the crime scene and integrate concepts--such as data analysis and scientific writing--to help build a compelling case. Students stay engaged throughout the investigation as they conduct blood typing and genetic testing, along with a presumptive blood test. This kit compellingly brings forensic science into your biology classroom. The kit is designed for 32 students working in 8 groups of 4. Rated 4 out of 5 by wheels127 from The students loved this kit! The students really got into the mystery of this "crime". From the teacher standpoint, I was confused as to which cloth samples should be labeled with each letter. I happened to do it correctly, but more detailed instructions would be appreciated. Immerse your classroom in a fictitious case as your students play the role of forensic lab technicians and attempt to piece together the evidence and help police solve the crime. Each kit is designed with engaging activities that place students in cases with alluring stories, crime scene reports, and realistic evidence-handling techniques. You’ll pique students’ interest in science while building their teamwork, deductive reasoning, and writing skills. Most important, the kit activities help you meet national standards while seamlessly integrating forensic science into your biology, chemistry, or physics curriculum. If you want to take an investigation to the next level, choose the interdisciplinary kit, which combines all 3 disciplines into 1 comprehensive forensic investigation. Incorporating forensics into your classroom has never been easier, so get ready to take your class beyond the tape.